What do calories really mean? Calories, also called “energy” on some nutrition labels, are units of energy. You get calories through eating and drinking and you lose them by exercising. Are they bad for you? Not necessarily, but eating too many and not burning them off can lead to weight gain. Read our article below and find out how to lose weight by counting calories. How many calories should you consume to lose weight? You can gain weight by taking in more calories than you burn, through your baseline metabolic rate and exercise. To keep a steady weight, a woman of average weight would require approximately 2000 calories per day. To lose one pound of weight per week, she would require approximately 1500 calories a day. A man would require 2500 calories to maintain his weight, and 2000 to lose one pound of weight per week. However, the amount of calories you need differs based on factors such as gender, age, height, current weight, and general level of activity. To find out how many calories are recommended for your specific needs, use Authority Nutrition’s calorie calculator or speak to your physician. Amsety has introduced the first nutrition bar including the Super 16 Vitamin & Mineral Mix® . 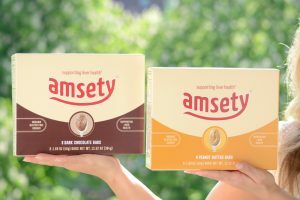 Amsety Bars were created specifically to meet the dietary requirements of individuals with liver conditions and support liver health. Amsety Bars are very low in sodium, gluten free, dairy free, vegetarian, non-GMO, organic and contain no refined sugars! 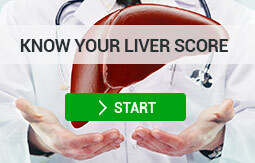 Find out more why 96% of physicians would recommend Amsety Bars for a healthy liver diet. It’s important to note that a high-calorie food isn’t necessarily unhealthy – as we can see when we look at the nutritional profile of walnuts. One ounce of walnuts, approximately 14 halves, is a whopping 185 calories! While nuts should be consumed in moderation if you’re looking to lose weight, they should also be consumed often if you’re striving for optimal health. Nuts are high in fiber, protein, and vitamin E, and contain healthy, unsaturated fats which help lower cholesterol and prevent heart and liver disease. Likewise, a low-calorie diet isn’t necessarily healthy. A low, 300 calorie lunch could consist of one donut, two and a half cups of French lentil soup, or ten cups of chopped broccoli. And how full you are after you consume 300 calories will determine how many subsequent calories you’ll choose to eat. Do you think one donut or two and a half cups of lentil soup would be more filling? Other properties of healthy food, such as fiber, cause lentils to satisfy hunger in a way that donuts and fast food can’t. Health is comprehensive and more complex than simple calorie counting. 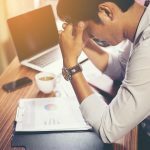 While tracking calories is a useful tool to ensure you’re burning more than you’re consuming if you’re trying to lose weight, it neglects the question of health. Consuming a diet rich in fruits, vegetables, nuts, seeds, and beans with minimally processed foods is what will lead to sustainable weight loss. Amsety Bars include a unique Super 16 formula with 16 vitamins and minerals for optimal liver health. To find out more about them click here.